The secret to natural beauty lies deep within you. Your body requires essential building blocks to support the supple skin, lustrous hair and strong nails you desire. That is why the most effective beauty treatment you can give yourself is the glowing good health of superior nutrition – the kind of nutrition provided by The 30-Day Beauty Secret®. The 30-Day Beauty Secret® is a radical concept in total body nutrition that provides you with an unprecedented blend of special nutrients to nurture your most precious gifts: your health and vitality. In today’s hectic world, stress, environmental pollution and internal toxins all take their toll. Cosmetic cover-ups cannot correct dietary deficiencies and support your inner beauty. 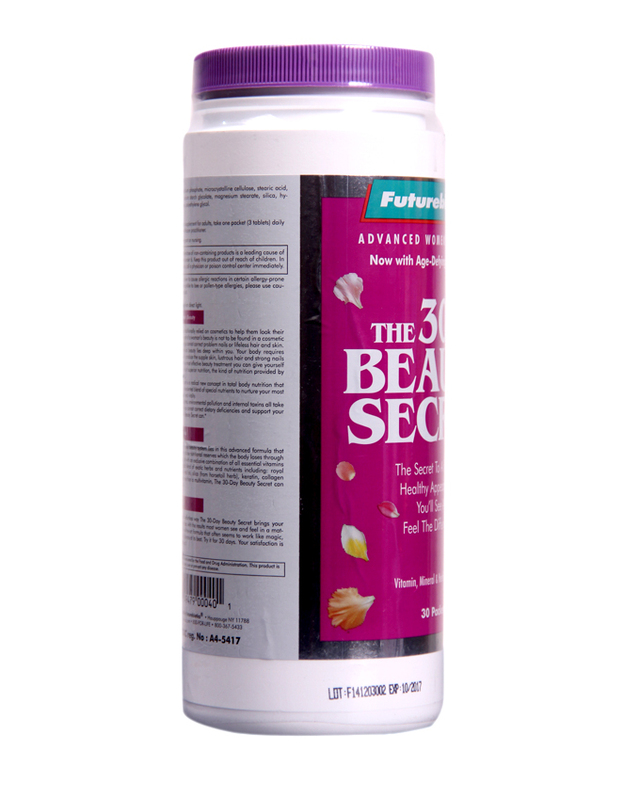 The 30-Day Beauty Secret® can. This comprehensive, multi-nutritional formula includes two advanced formulas in each daily packet that work to replenish those nutritional reserves the body loses through time. Together, these exclusive formulas have been engineered to include all the many essential vitamins and minerals the body requires combined with a special blend of herbs and other nutrients. 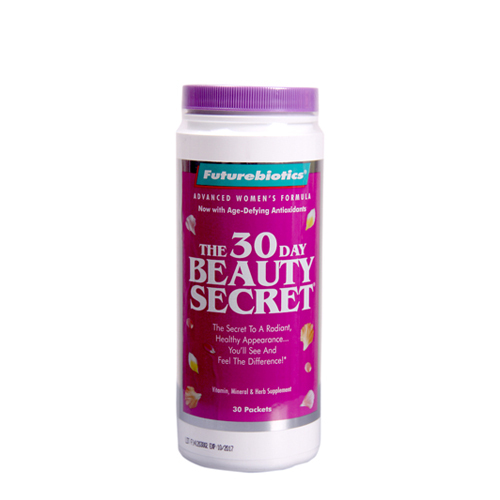 The 30-Day Beauty Secret® also features age-defying antioxidants, including Green Tea extract, Alpha Lipoic Acid and Grape Seed extract; along with Silica, which plays an important role in the body’s production of collagen; effective amounts of Keratin, Collagen and Gelatin that help nourish skin and nails and help tissues maintain elasticity; and Calcium to help strengthen bones, teeth and nails. The 30 Day Beauty Secret® contains 30 daily packets, each individually wrapped for convenience. While far more than a traditional multivitamin, it can be used as your daily multivitamin. Organic Virgin Cold Pressed Coconut Oil. RESULT MAY VARY FROM PERSON TO PERSON PCA BPO 5% Cleanser can help your skin remain healthy by fighting off the harmful bacteria with its effective anti-bacterial properties. It contains 5% liquid benzoyl peroxide that reduces acne and other bacteria induced breakouts.